Effective within the next few months, Google will be splitting its index of searchable web sites between mobile search and desktop search. Understandably, many small businesses are questioning the reasoning behind this change and how it will impact their local search results. Within this article, we will discuss this new “mobile first” approach that Google will be implementing by breaking down its concept and exactly what it entails for small businesses in particular. Google regularly updates and makes changes to its online index— a comprehensive database of all of the web sites that can be searched for and found through Google. However, by splitting its index into mobile searchable web sites versus desktop searchable web sites, Google is taking these updates to an unparalleled level. 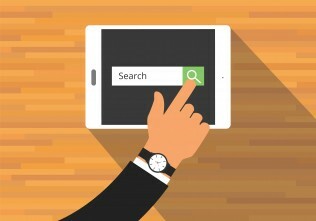 By shifting their focus primarily to mobile searches, Google is acknowledging that more people are now conducting online searches on their mobile devices than on their desktop computers. Incidentally, this signifies that from here on in, Google will be updating its mobile search index far more frequently than its desktop search index. The reason for this split is quite ingenious. Google recognizes that mobile searches are becoming more prevalent as mobile devices increase in popularity. The problem is that mobile searches often render less reliable and stripped down versions of web sites whereas the less popular desktop search renders more detailed and accurate local SEO results. The Google indexing split allows companies to adhere to the changing global and local SEO trends by prioritizing mobile searches and acknowledging that mobile phones are the more dominant online searching tools. This realization will make it possible to add more content to so-called mobile sites and make a larger amount of information accessible to more users than is presently available to mobile users. Industry and SEO experts predict that by the year 2017, the number of people conducting mobile searches will have exponentially surpassed the number of people conducting desktop searches and this number will continue to rise in future years. 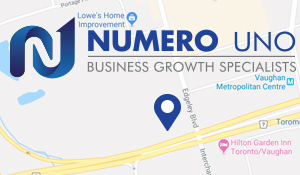 How Will Local SEO for Small Businesses Be Impacted? Naturally, small business owners are curious how this Google indexing split will affect local SEO search results for small businesses. While most web sites are currently mobile-friendly, the information available via mobile searches is considerably more limited and restricted than desktop searches. This system is actually problematic for small businesses when considering that more people are using their mobile phones to conduct searches because it means many SEO search terms are not being picked up by mobile searches which accounts for a lot of missed business opportunities. Businesses that are already both mobile- and desktop-friendly are not likely to be affected either positively or negatively by this change. Only businesses that still have stripped-down versions of their web sites will notice any major differences in their cross-device conversion rates. Companies that comply with the indexing modifications made by Google are even more likely to derive more traffic to their web sites. Google has yet to confirm an exact date of when this indexing split will be instated, but it is highly advisable that local and small businesses get their ducks in a row as soon as possible. Update your web sites right away and make sure to convert from stripped down-versions of web sites to responsive web sites; this will make them more mobile-friendly and will increase SEO search results for local businesses. In keeping up with the trends, it is estimated that most users will give up on loading a web site after approximately three seconds. Do not let this happen to your business’s web site. Activate the AMP (Accelerated Mobile Pages) version of your web site in order to allow more mobile users to access all pages on your web site at much higher speeds. Doing this will increase your web site traffic and also favourably impact your online business dealings in the long run.